A princess on the run, Callie has disguised herself and her son, the Crown Prince, as commoners, hoping to protect him from those intent on stealing the throne. She has no choice but to trust the handsome ex-officer who’s come to her rescue, even when he insists that only a marriage of convenience will provide her the ultimate protection. Can her new husband keep Callie and her son safe from assassins? And what will he do to her heart? Gabriel and Callie are one of those couples you love to see develop on the page. The reason I think that they were so believable (and I could probably say this about all of Anne's couples) is that they had this great element of fun in their relationship. Yes the plot threw a lot of drama their way but through it all there was this light, teasing repartee. Everytime Gabriel made a cheeky quip, Callie might get mad or embarrassed but I just fell in love with him even more. Hot and humourous...does it get any better than that? Callie has a gorgeous little son in this novel, Nicky and he blends in with the novel seemlessly. He's completely adorable and adds an extra element to the story, showing us Gabe's softer side and giving Callie the motivation to become a heroine in her own right. From start to finish, The Stolen Princess was an absolute treasure. If you've never read an Anne Gracie novel then you probably need to do something about that ;-) I also cannot recommend highly enough The Perfect Rake - I read it quite a while ago so I haven't reviewed it (yet) but oh boy, I have never forgotten Gideon! Anne Gracie is the bestselling Australian author of 12 romance novels including the Perfect Series about the Merridew sisters and her most recent, Devil Riders series. She's a RITA finalist and her novel The Stolen Princess won a R*BY Award. 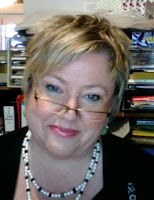 Anne's workshops at RWAus are some of the most highly anticipated by aspiring writers. She frequently gives of herself and her talent to assist writers in forfilling their dreams by teaching her understanding of the craft. This little wannabe writer cannot stress enough - if you have romance writing goals make sure you seize the opportunity to attend an Anne Gracie workshop if you ever have it. If Australia is a little out of your reach, Anne share plenty of writing articles and tips on her website. Anne Gracie's latest book, To Catch a Bride is set for release in September this year. Or visit her on Word Wenches where she blogs with a slew of other best-selling authors including Mary Jo Putney and Jo Beverley. I'd buy The Stolen Princess just for the gorgeous cover (I know, shallow lol) but after reading your review, sounds like the content more than lives up to the stunning cover. I want this one!! You're convinced me! I gotta check this out. I'm with Teddyree. It's a gorgeous cover! I've never heard of this book before. I'm glad I decided to make a round of commenting on all of my followers. This is becoming quite a treat. I haven't ever read Anne Gracie. That is probably something I should rectify! Teddyree, Juju, Kate, Heather, Marg you should definitely get yourself a copy! Although, Teddyree you can probably borrow mine. Seriously, this book sounds fabulous! I just checked out Anne Gracie's website. All of her books feature fabulous covers!! I see that Stolen Princess is part of a series...hmm...sounds like I have several books to read.